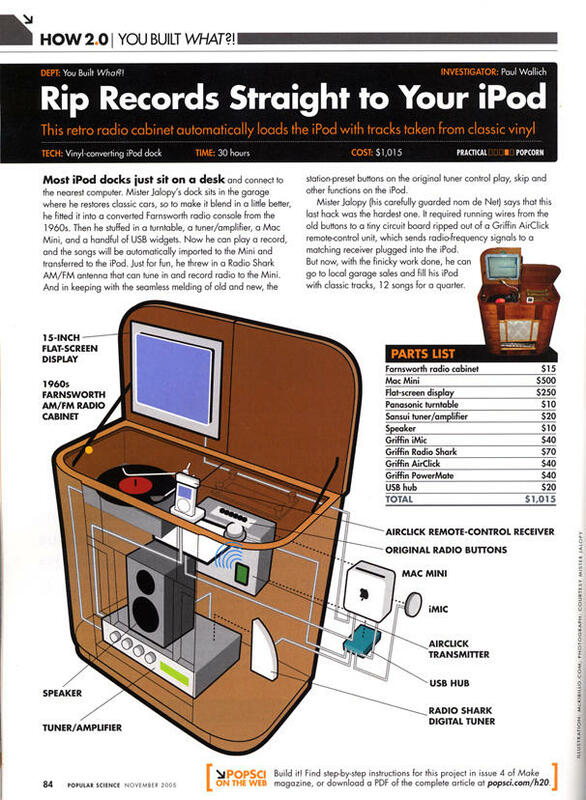 Hoopty Rides: Giant Ipod in Popular Science! 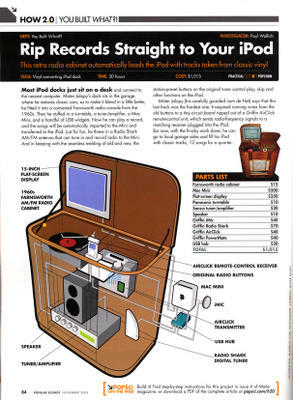 Giant Ipod in Popular Science! Pop Sci (Nov 05) did a super job of summarizing the giant ipod in a single page. The illustration makes it look so delicious that I want to build another one. Though, I must admit, I wish they didn't run up the tally as I was thinking it cost me about $20. If you want the real meat AND THE POTATOES check out the full article in Make Vol. 4 . The hair raising soldering of the wires to the Airclick alone is enough to justify the luxurious Make mook price.